LAKE OSWEGO — Back and forth. Momentum switched, and the lead changed hands over and over again. But, in the end, Sherwood wasn't quite able to get the lead back one more time. 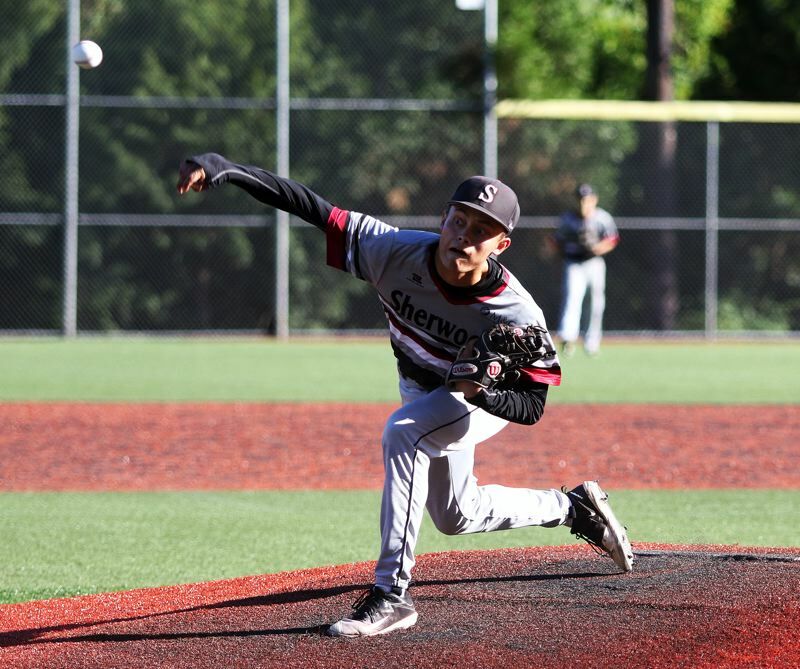 The Bowmen saw their season come to a close with a 10-6, eight-inning loss to Grant in a quarterfinal game of the Oregon Independent Baseball Association season-ending tournament, held Friday at Lake Oswego High School. "That was a long game," said Sherwood High School senior-to-be Anthony Garrett, who had a pair of doubles in the contest. "And there were a lot of runs." "We hit the ball well, but we had too many errors," added Sherwood senior-to-be Sage Dunaway, who had three hits in the game. With the loss, Sherwood finished the summer season with a final overall record of 10-4-1. "It was good," Dunaway said. "I think we'll be a contender in the spring." 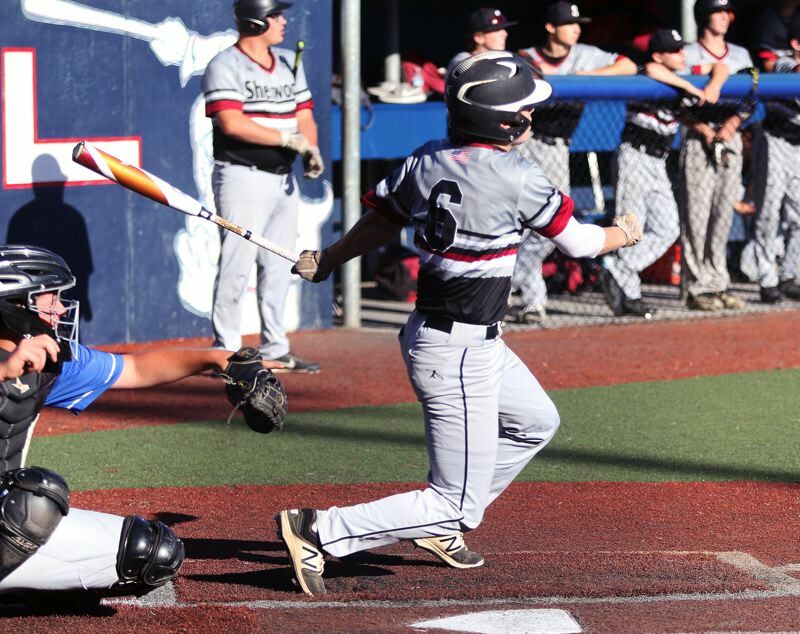 Grant, in Friday's OIBA tournament game, jumped out to a quick lead, scoring three runs in the top of the first inning, with the big hit of the frame being a two-run triple by Cooper Shaw. But that didn't bother the Bowmen. "We knew that we just had to keep with it," Dunaway said. "And it helped that it was early," Garrett added. 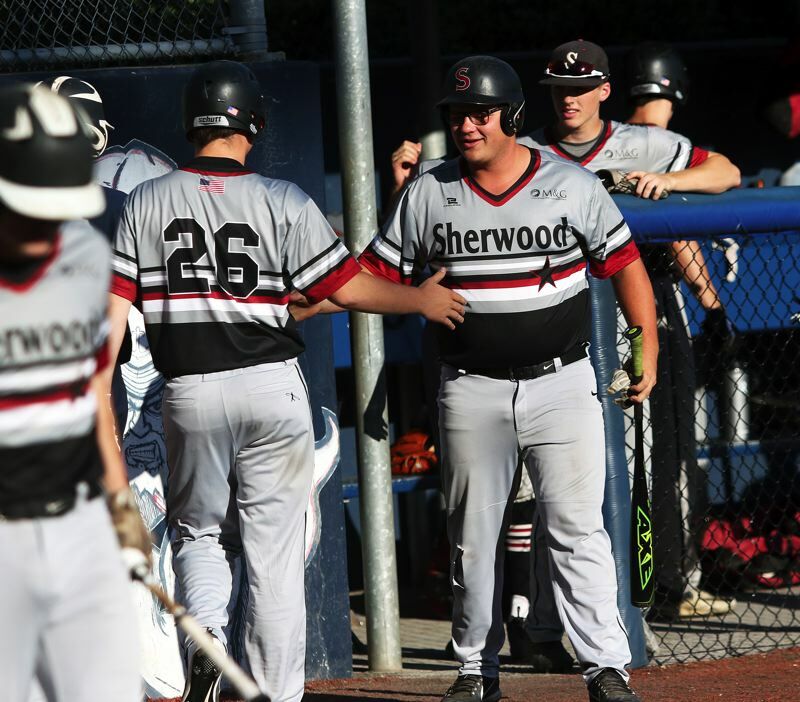 Sherwood bounced back and tied the game in the bottom of the second inning. Ryan Sandilands, Kade Emmons and Harrison Goyette drew consecutive walks to open the frame, loading the bases with no outs. Two strikeouts later, Dunaway was hit by a pitch, bringing in Sandilands for the Bowmen's first run. Garrett followed with a double off the fence in left field. Emmons and Goyette both scored on the hit, tying the game at 3-3. The Bowmen then scored twice in the bottom of the fourth inning to take the lead. Dunaway got things started with a one-out single to center field. Garrett then doubled into the gap in right-center field, driving in Dunaway to give the Bowmen a 4-3 advantage. Garrett would then score on a single by Noah Beeks, giving Sherwood a 5-3 lead. Now, it was Grant's turn to rally. The Generals, getting four singles, including RBI hits by Jackson Farr and Alex Wagstaff, scored three runs in the top of the fifth inning to regain the lead, at 6-5. Sherwood responded in the bottom of the fifth. Emmons, leading off the frame, doubled down the right-field line. He ended up scoring on a two-out single by Dunaway, tying the game at 6-6. The Bowmen threatened again in the bottom of the seventh, getting a leadoff single by Emmons. Pinch runner Jacob Cole moved to second base on a wild pitch with one out in the inning, and he advanced to third on a passed ball with two outs in the frame, but he was left stranded there, sending the game to extra innings, tied at 6-6. Grant, taking advantage of a pair of Sherwood errors, scored four runs in the top of the eighth inning to claim a 10-6 lead. The resilient Bowmen tried to answer back again in the bottom of the eighth. Singles by Beeks and Nick Severson, and a walk to Sandilands, loaded the bases with two outs, and brought the potential tying run to the plate. But a pop-out ended the game, giving Grant a 10-6 victory. "We kept batting in tough situations," Dunaway said. "Now, we're going to really get after it in the offseason," Garrett said. Sherwood, as a team, had 11 hits in the contest. Dunaway went 3 for 4 at the plate, with a run scored and two RBIs. Garrett went 2 for 5 with two doubles, a run scored and three RBIs. "I got good pitches to hit," he said. Also for the Bowmen, Beeks went 3 for 5 with an RBI. Emmons went 2 for 2 with a double and two runs scored. Garrett pitched the first six innings for Sherwood. He gave up six runs (three earned) on five hits, while striking out five and walking three. Tyler Hix threw the final two frames, giving up four runs (one earned) on four hits, while striking out two and walking none. For Grant, Farr had two hits and scored two runs. Shaw had three RBIs. 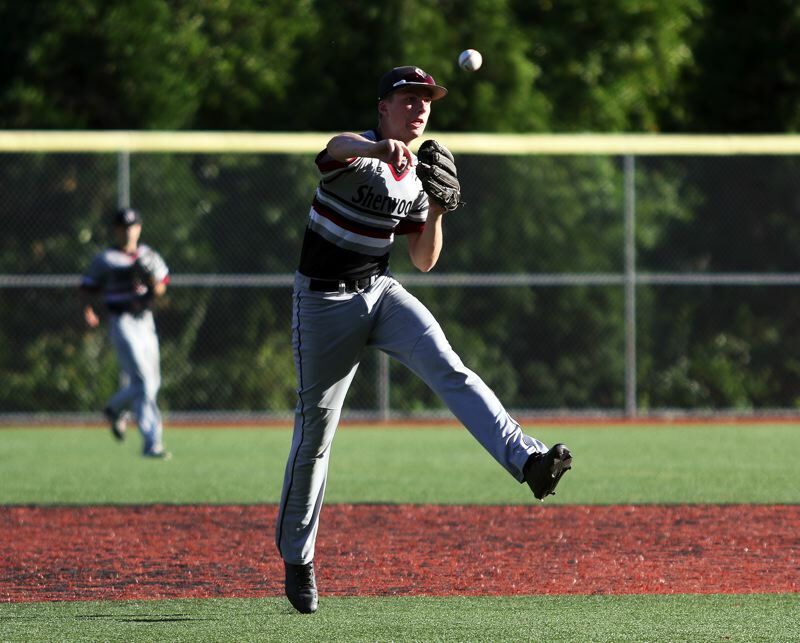 The Generals went on to reach the tournament championship game, where they fell to Clackamas.